I don’t have to worry about getting the Farm cats any presents for Christmas this year thanks to Hartz®. 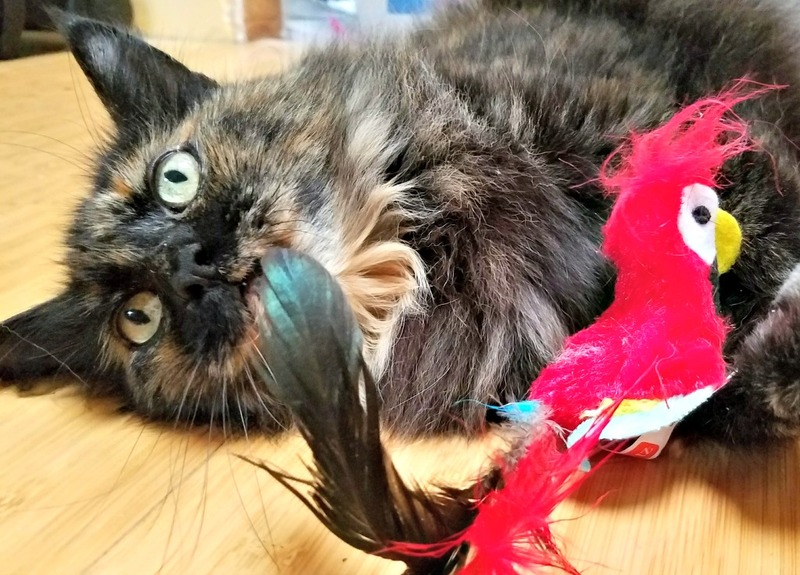 I wrote all about the fun they had playing their “Game of Throwns” with Hartz cat toys a little while back. The blog post didn’t announce the winner although it could be found on instagram. Just to keep you all informed, the surprise winner was…. 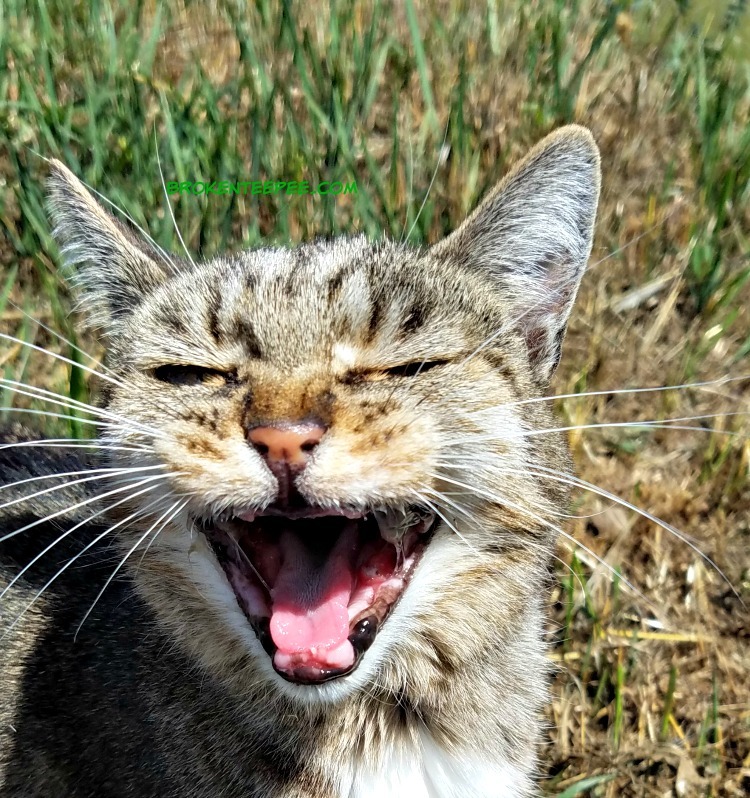 ….Stinky the Farm cat! She managed to acquire all of the Hartz® toys for her very own. Although she did let Sherpa have the Chirping Bird back. He does love that toy! This is by far the most popular of the package that Hartz sent the Farm cats to try. Even though the Farm cats aren’t kittens, in fact they aren’t teenager cats any more either but they still need to exercise. 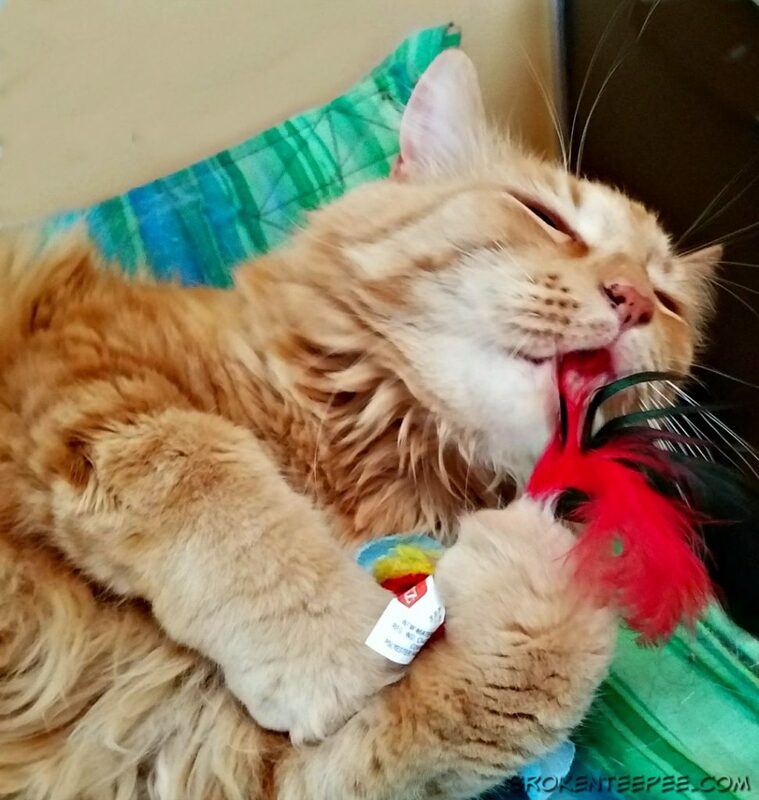 Pumpkin is playing with the second Chirping Bird toy – as noted above that is one popular toy. The Farm cats will throw that bird all over the yurt! They highly recommend it. 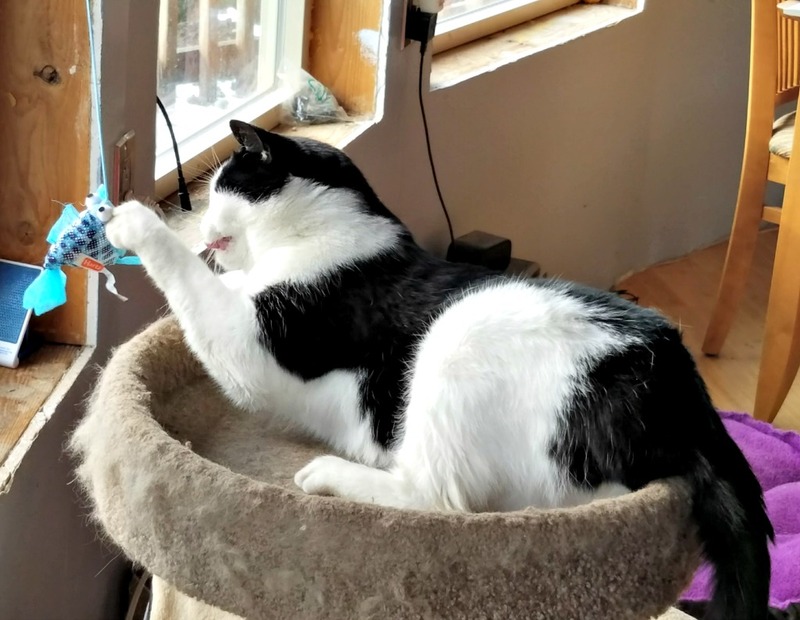 Harry is still fond of his Gone Fishin’ wand toy but as the Christmas Tree is currently in the spot where their cat tree usually sits tbe fishie looks more like an ornament than a cat toy at the moment. Artificial or Real Christmas Tree – What’s for You?